Traveling in South Africa on a budget. Rental car. The offer is big in South Africa, different kind of options. It´s usually cheaper to rent a vehicle in South Africa than in Namibia or Bostwana... and flying to South Africa is also usually cheaper... If travelling in Namibia and/or Botswana, check! The choice of the vehicle will depend of your budget, adventure plans. 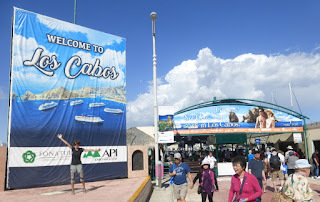 We rented a small sedan car, paying only 12€ per day, with Rentalcars, and was perfect. Roads are fine, tarred. Even in Kruger, Hluhluwe-Imfolozi... and other game parks (same for Etosha in Namibia), a small sedan car will do. We did many km across South Africa, Namibia, Bostwana, Lesotho, Swaziland, with a Ford Fiesta and no problems, great! 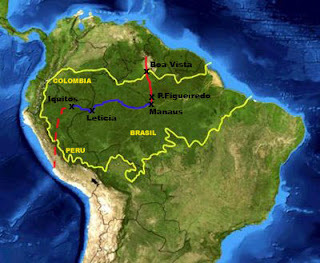 But all these destinations are for adventurers, usually not included in a "first time trip" to southern Africa. So a small sedan car will do! Just check the internet. Most of the rental companies have websites and so do brokers. It´s really cheap and easy to rent a car in South Africa. Prices start around 200 R/day (15 €) for a small sedan manual car with AC. 100% recommended for that price, specially for 2 or more travellers (you can always try to find people to share with in the backpackers or online). It´s a very good option, as you can easily get everywhere even visit most of the game national parks, easy, safe and cheap way. Do camping. And in a country where public transport is sometimes limited and quite expensive, renting a car is very good option, even for low-cost travellers. Also big offer in South Africa to rent 4x4 cars, but more expensive than sedan ones. 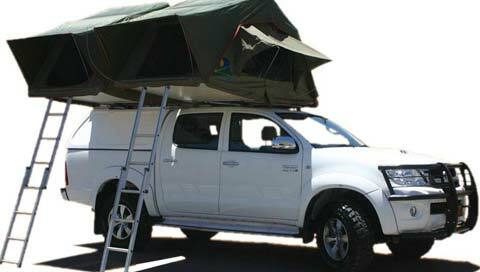 Many people rent full-equiped 4x4, special for camping (roof tent, beds, kitchen, etc. ), very popular for many travellers but they are expensive around 100-150 €/day. We saw many cars of Britz and Bushlore, but many more companies. You don´t really need these kind of cars, if doing the typical South Africa trip route, between Cape Town, Johannesburg, Drakensberg, Kruger, etc. You just need a 4x4 if searching real wild adventure, if going to Kalahari, Richtersveld and northern Atlantic coast, top northern Indian Coast in Kwa Zulu Natal, off road in Namibia, inside the national parks in Botswana. Otherwise a normal car is also fine and much much cheaper. Also possible to rent a campervan, but we didn´t cross too many on the roads. They are quite expensive. Maui and Britz are one of the most popular. Many travellers rent a car in South Africa and travel to Botswana, Namibia, Lesotho and Swaziland as we did. Easy! No special papers needed for these neighbor countries! Just border car tax has to be paid when crossing the border post. This was our experience when crossing to Botswana, Namibia, Lesotho, Swaziland, South Africa. They never asked if it was a private or rental car, NOTHING. At least in 2014! So, what about the "crossing border paper" with the rental companies? You seem to need it, different paper depending on wich country or how many countries you will cross. And really expensive, around 1.000-1.400 R (100 €!). We don´t really know. Botswana, Namibia, Lesotho, Swaziland, South Africa asked for ANYTHING! HOW TO RENT A CAR IN SOUTH AFRICA? You can check online, booking in advance is usually the best and cheapest option.Not only rental companies but also many brokers (sometimes better prices and conditions... and finally they put you in contact with the big rental companies). Most of the big international companies are also in South Africa: Hertz, Avis, Budget.... and also big local companies like Tempest. Compare the prices and models and specially the rental conditions, hidden fees. Like always when renting a car. Usually you need to check: illimited km or not, kind of insurance, contract fee, fuel fee, fuel policy (full/full), bond, duration, one way fee (if different towns), cancellation. Most of the cars in South Africa are manual and have AC. Same models than in other continents (globalisation!). Keep left, in South Africa it´s like in UK, the driver seats on the right. Easy to learn! Usually no international driving license needed. Keep in mind that if less than 21 maybe some companies don´t rent cars. We rented a small sedan car with www.RENTALCARS.com, a car rental broker. The cheapest option we found in advance, online. The price was ONLY 11.75 €/day! Final price, no more fees, only the bond! Possible to rent 3 months period and different drop on/off cities! Finally, Rentalcars send us to a famous car company, Hertz. But it was cheaper, unlimited km and longer rental period allowed renting with Rentalcars than directly with Hertz (why? we don´t know). No international driving license needed (if latin alphabet country license) with Hertz. 10/10 with Rentalcars and Hertz, great! Really recommended. 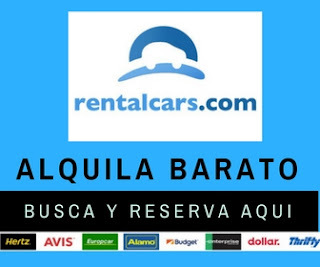 Rentalcars has great prices and you can rent a car in many countries and towns. Easy to book the car with them. You call them and they call you back (free), in your language. fantastic. You talk, ask about conditions, you can try to negotiate... This is what we did and got even a small discount. We only paid 1.034 € to Rentalcars (credit card, from Spain, via phone) that´s 11.75 euros/day. Renting the car for 3 months, from Johannesburg airport to Polokwane (near Zimbabwe border). Price was all included (contract, one way fee, full tank, etc. ), as we paid nothing else once in South Africa, with Hertz (we thought we would have to pay for the contract 65R, one way fee 800R... but nothing else was charged!). The bond: with the minimum insurance (collision damage and Theft) was 5.400 R (around 400 €).It was taken on our credit card at Hertz office in South Africa. Less than a week after the drop off, the money was back. Hertz office at Johannesburg airport was good, the staff was friendly and quick. Same in Polokwane. We booked a “Chevrolet Spark” and Hertz gave us a bigger car, a “Ford Fiesta” (a highest category, for the same price).Completely new! We changed the drop-off town (Nelspruit to Polokwane) with Hertz, without any problem and no extra charge, 2 weeks before the end of the rental period. We thought we needed it and ask for it when booking with Rentalcars. Hertz gave us a "border crossing paper", we paid no extra money finally for it (we were supposed to pay 1.200 R but they didn´t charged anything... we don´t know). Nobody at the border ask for that special paper. No needed, at least in 2014! Conclusion: we can only recommend after our great experience Rentalcars! South Africa has a good road system, just a few small roads are not tarred. On the main national roads, traffic is heavy with many trucks. Secondary roads are usually quite empty and it´s nice to drive there. Travelling with a sedan normal car is fine, even for most of the national parks. 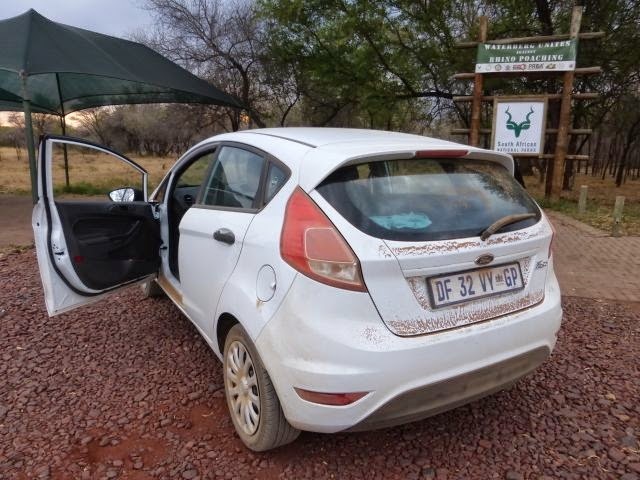 In total, we did more than 8.000 km with our small Ford Fiesta, all over South Africa. Great! Yes, renting a car in South Africa is easy and cheap! Many rental companies, in many towns, possible to book online in advance and the most important detail: super-cheap. We explain it latter, keep on reading please. Always keep left. In South Africa, it´s like in UK, the driver seats right of the car. Maximum speed 120 km/h and usually 100 Km/h. Road signs are really good, everwhere. We travelled without a detail map or GPS navigation and it was really easy. Just checked google maps in advance. - N17 Krugersdorp- Oshoek (Swaziland Border), Kroonstad-Bloemfontein. Prices vary a lot depending on location and km (10 to 50 R). But most have alternative free roads! Chapman´s tourist road near Cape Town has also a toll gate. Around Johannesburg and Pretoria, automatic toll system here, no gates. You have 24 hours to pay but if driving a rental car, don´t worry, the cars have a control system and it will be directly charged to your credit card after doing the drop off. Sections are around 3-5 R each. All the rest of national roads and secondary roads are free. We drove around a big part of South Africa and as we took smaller roads and free national roads, we didn´t pay too many tolls. In average, unleaded is 12.50 R/l (less than 1 €), more expensive in the south and cheaper in KZN. Visit our South Africa posts for more information. And other Africa posts. 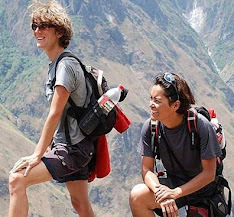 We spent 8 months around East and Southern Africa, with our backpacks. nice post about Traveling in South Africa on a budget. Rental car. Great blog. Thanks for Sharing useful information with us. Please check out our service Vehicle Relocations in UK. Happy to share the information. Enjoy Africa! Possible on your own!